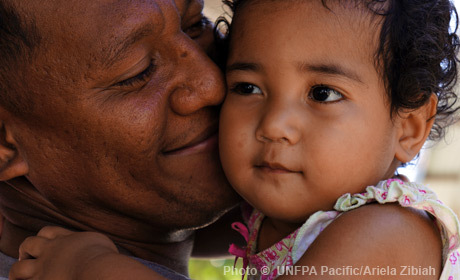 UNFPA’s Pacific Sub-Regional Office, located in Fiji, assists 14 countries and territories: the Cook Islands, the Federated States of Micronesia, Fiji, Kiribati, the Marshall Islands, Nauru, Niue, Palau, Samoa, Solomon Islands, Tokelau, Tonga, Tuvalu and Vanuatu. The office additionally provides technical assistance to Papua New Guinea. UNFPA works to extend family planning and emergency obstetric care, advocates for stronger protection policies, mobilizes communities against violence, and supports services for survivors. UNFPA also supports efforts to improve adolescent sexual and reproductive health.